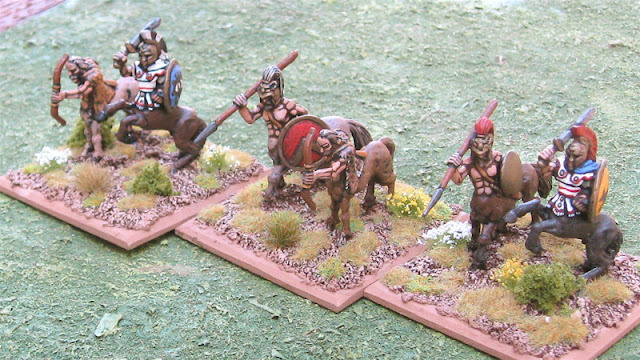 Soon, hopefully, I will be posting pictures of all my 28mm Ancient and Mythical Greeks here... including DBA and Hordes of the Things armies and individual figures for epic skirmish gaming. It may also include some DBA Successor armies at some point. Greek Olympians from Wargames Foundry. This army was designed around the idea of Nomadic horse-peoples like the Skythians - in fact I thought I might be able to use them as a Skythian stand-in in a "semi-historical" DBA campaign. 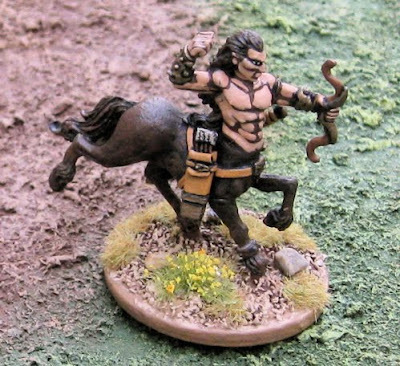 The magician element from Reaper Miniatures. 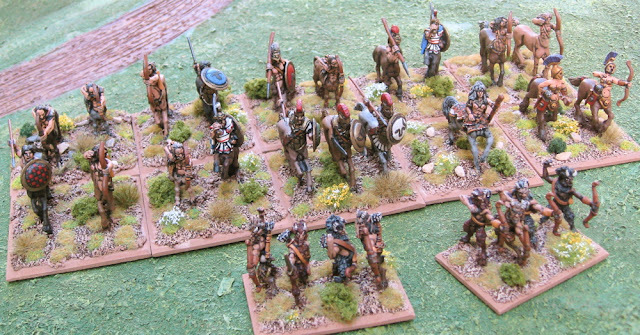 This batch is all figures from Wargames Foundry. 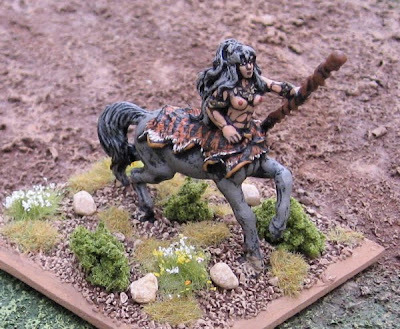 This batch is all figures from Mega Miniatures. 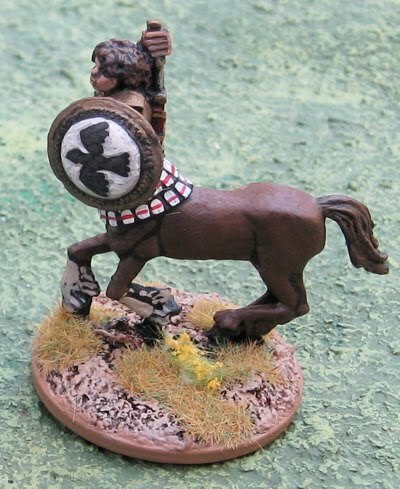 Another element from Wargames Foundry. 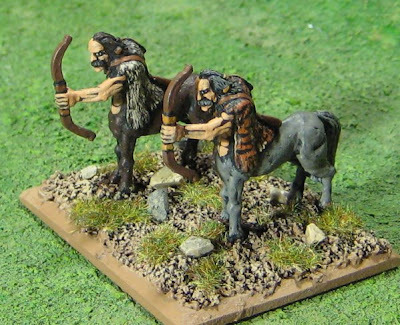 This I think this was the first element of cenaturs I ever painted - they are from Mega Miniatures. I also have a few individually based Centaurs for skirmish gaming and role-playing games. 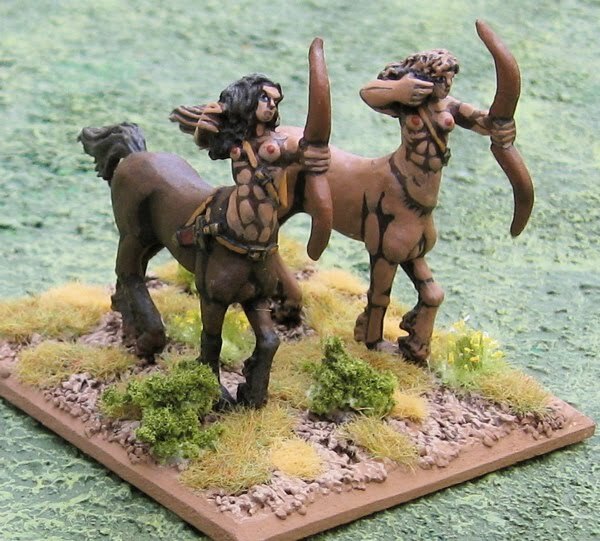 This one is on a larger base and I meant it to be used as an Army Marker in an campaign the Centaurs might be used in. The figure is from Mega Miniatures. 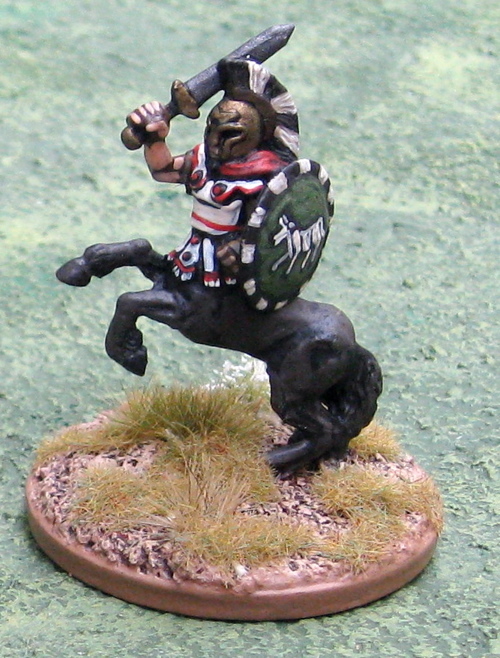 This fellow is from Wargames Foundry. This fellow on is (I think) from the old WOTC Chainmail line...? 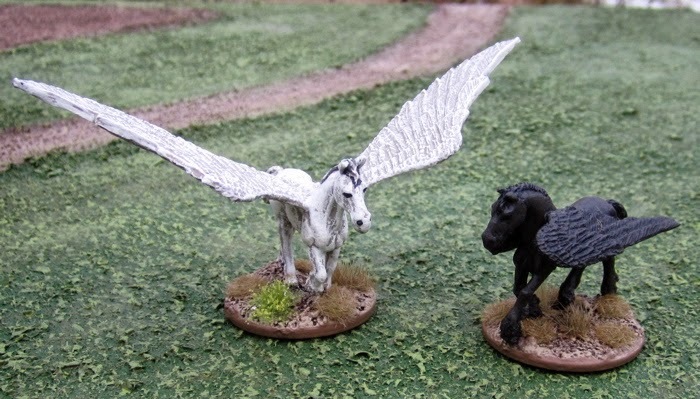 A pair of Pegasai from Wargames Foundry.